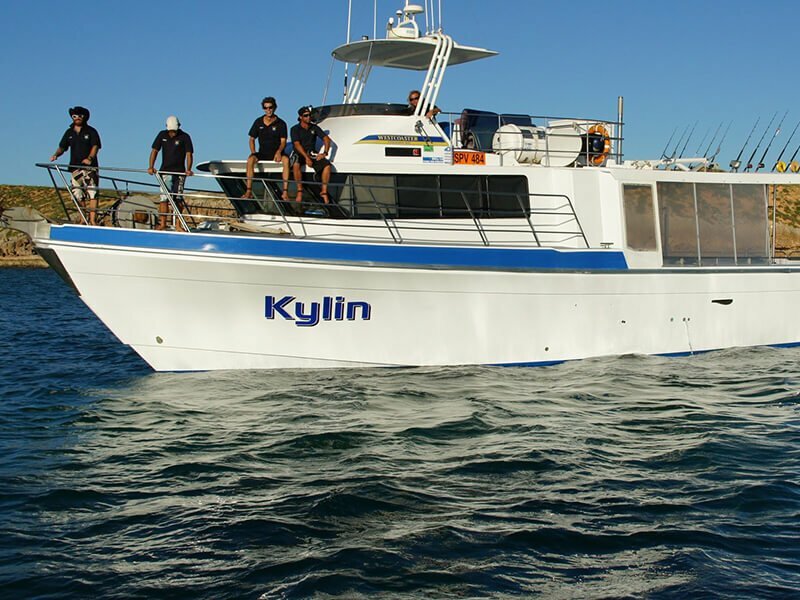 The Kylin was built in 1997 by Freeman Bay boats as a 57ft Westcoaster and in 2004 was extended to the current 62ft. New Twin Scania motors have been installed in November 2007 with a cruising speed of 16 – 18 knots with a full speed of 23knots. The wheelhouse was greatly lengthened to accommodate passenger needs but this still left enough working deck for 14 passengers to fish in comfort. There are now 2 bathrooms with a toilet and fresh water shower in each, so there is no queuing up for showers or the toilet. 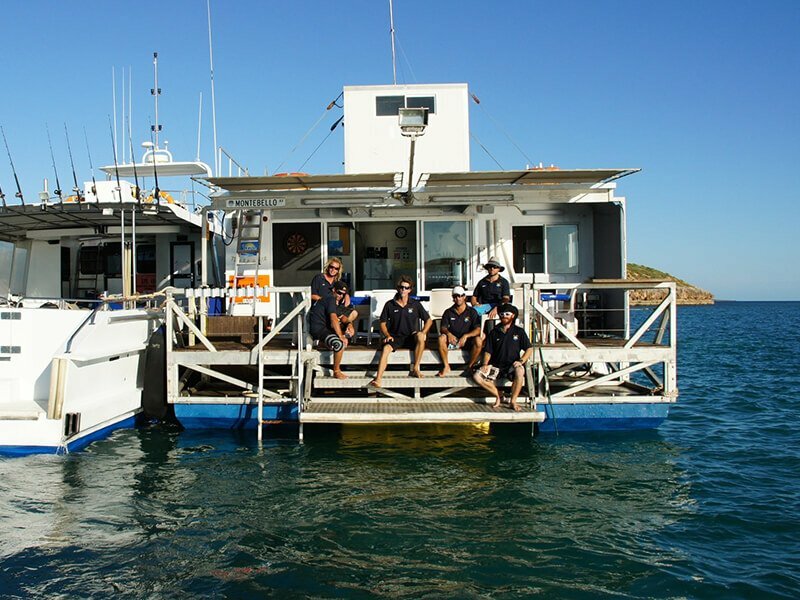 ‘NEMO’ is a 9 metre aluminium centre console runabout which is capable of accessing the shallow areas around the Montebello Island, therefore, allowing our guests to more fully appreciates the unique environment. It is surveyed for 14 people with full undercover seating and can travel up to 30 knots with a full load. There are four x 4 meter aluminium dinghies with 30Hp outboards located at the Montebello’s for your recreational use. All have the relevant safety gear and flat carpeted floors perfect for casting from. 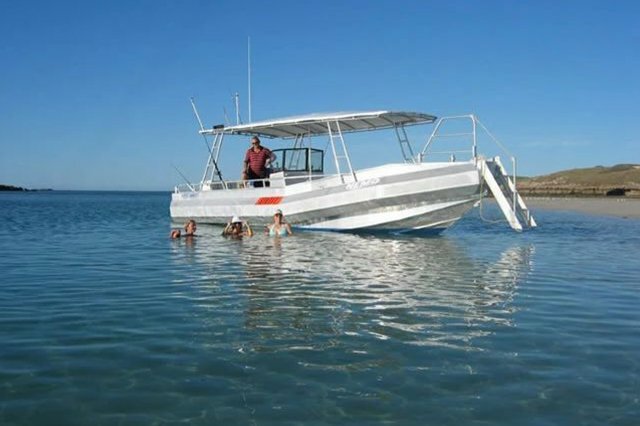 On the days we are not out deep sea fishing you are welcome to explore the southern end of the Montebello’s using soft plastic for Coral Trout and Emperors, trolling for Mackerel or flicking rooster poppers for the large Montebello’s GT’s. 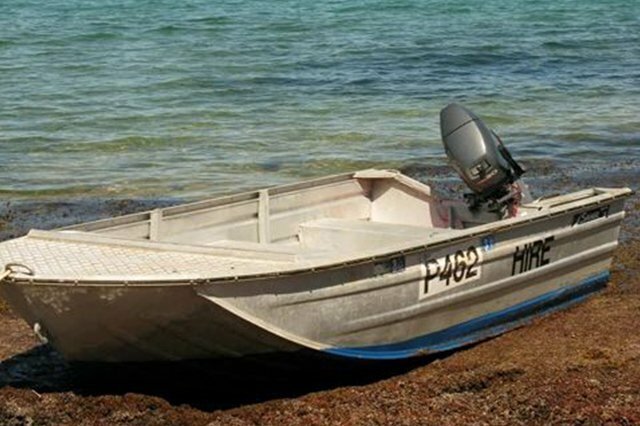 NOTE: You must have a RST (Recreational Skippers Ticket) and a WA Recreational Fishing Licence to use the dinghy’s.